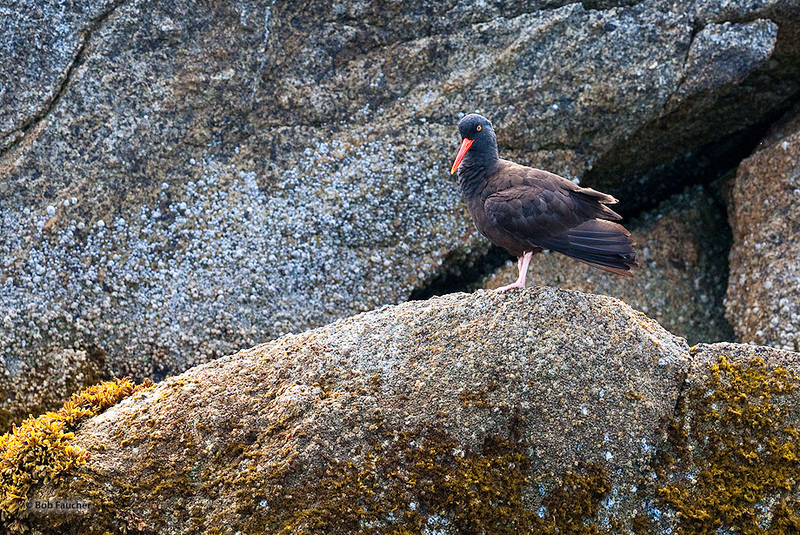 The black oystercatcher is a conspicuous black bird found on the shoreline of western North America. It ranges from the Aleutian Islands of Alaska to the coast of the Baja California peninsula. Photo © copyright by Robert Faucher.